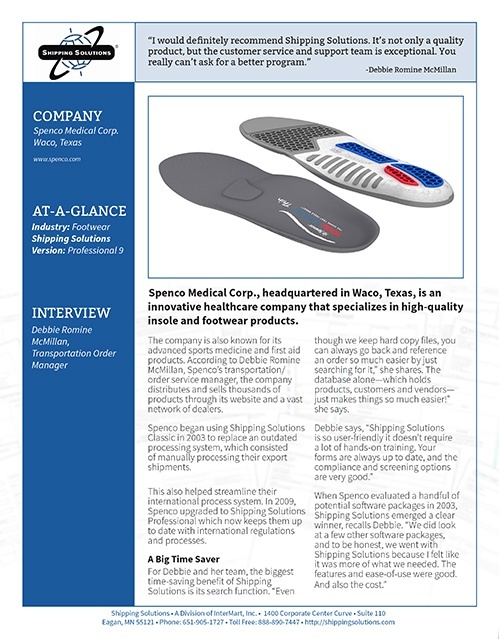 Export Documentation Software Case Study - Spenco Medical Corp.
Spenco Medical Corp., headquartered in Waco, Texas, is an innovative healthcare company that specializes in high-quality insole and footwear products. 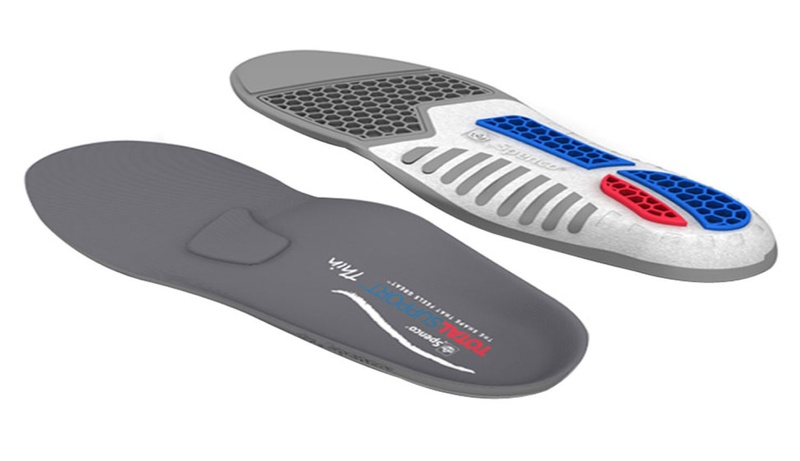 The company is also known for its advanced sports medicine and first aid products. According to Debbie Romine McMillan, Spenco’s transportation/order service manager, the company distributes and sells thousands of products through its website and a vast network of dealers. Spenco began using Shipping Solutions Classic in 2003 to replace an outdated processing system, which consisted of manually processing their export shipments. This also helped streamline their international process system. In 2009, Spenco upgraded to Shipping Solutions Professional which now keeps them up to date with international regulations and processes. For Debbie and her team, the biggest time-saving benefit of Shipping Solutions is its search function. “Even though we keep hard copy files, you can always go back and reference an order so much easier by just searching for it,” she shares. The database alone—which holds products, customers and vendors— just makes things so much easier!” she says. Debbie found costs to be “astronomical” for the other options she was weighing. 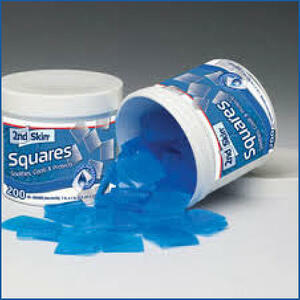 After reading several customer reviews and trade magazine articles, Shipping Solutions won out. Every international order leaving the shipping dock at Spenco requires at least five forms. In a month’s time, that’s hundreds of forms that don’t have to be completed by laboriously handwriting data fields. Automation has made all the difference for Debbie and her team at Spenco Medical.